Are you ready to reclaim quality time in your marriage? 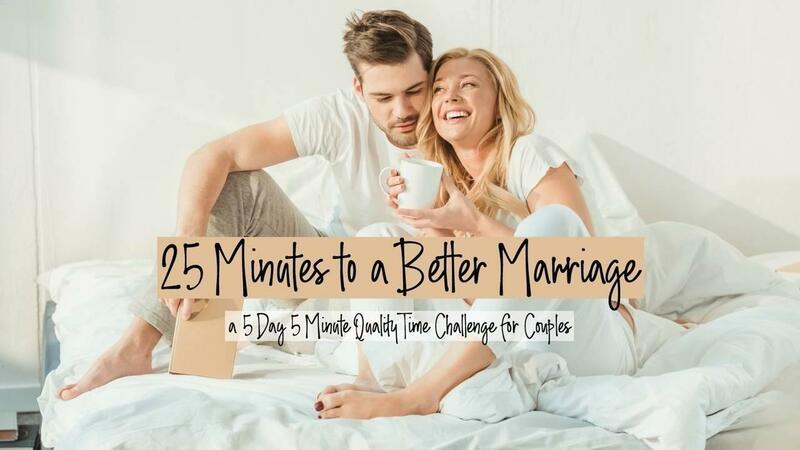 Our 25 Minutes to a Better Marriage Challenge has helped thousands of couples reprioritize one another amidst the chaos of daily life. This challenge can be done in as little as 5 minutes a day for a period of 5 days. This challenge is designed to cut to the chase and get you and your spouse on the same page when it comes to giving each other the undivided attention you desire (and deserve! ).